Side Scan Sonar Record of Homer Warren Shipwreck. Close up shot of the Homer Warrens bow. Map of Lake Ontario with approximate location of Pultneyville and Homer Warren shipwreck indicated. The Homer Warren carrying a large load of lumber in 1912. Pultneyville, New York – A 140 year old Canadian steamship Homer Warren has been discovered in deep water off the southern shore of Lake Ontario near Pultneyville, New York. Shipwreck enthusiasts, Jim Kennard and Dan Scoville, located the steamer by using side scan sonar equipment. The Homer Warren was the oldest wooden straight deck bulk freighter in operation on the Great Lakes when it foundered in a heavy gale on October 28, 1919. The ship was on route from Oswego, New York, to Toronto, Canada, with a crew of nine men, all of whom were lost in the storm. The Homer Warren was originally built in 1863 and modified in 1901 after being partially destroyed by a fire. The ship was 178 feet in length and would typically transport large quantities of lumber, coal, or grain. During the final voyage of the steamer the cargo was “reported” to be 500 tons of coal. The Homer Warren departed Oswego in early morning running into high winds and heavy seas. She followed the southern shoreline, past Sodus Point, and then headed out into the lake. The winds were steadily increasing to gale force, over 60 miles per hour, as she steamed into the open waters of Lake Ontario. A local fisherman near Pultneyville briefly observed a ship with heavy seas breaking over her from bow to stern. A few minutes later the ship was no longer to be seen. During the next 24 hours pieces of the pilothouse and cabin, as well as trunks and other articles from the ship, came ashore. Oars and a lifeboat, with a large hole in it, were found on the beach along with the bodies of four of the nine-crew members. All had perished from exposure in the cold lake waters of Lake Ontario. The men had life jackets on and may have taken to the small lifeboat. The high waves would have made it almost impossible to keep their small boat from capsizing. A watch on one of the crew was found to have stopped at 10 AM, providing the approximate time of the sinking of the Homer Warren. The fierce gale that took the steamer to the bottom was one of the worst storms to hit this area in over twenty-five years. Kennard and Scoville reviewed local newspapers from October 1919 for accounts of the Homer Warren disaster. From their research they estimated the most probable search area based on sightings of the ship, time of the sinking, wind direction, drift rate, and the location of the debris. High-resolution side scan sonar was then utilized to search for the shipwreck. 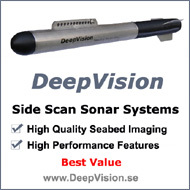 This type of sonar creates an image that is similar to that of an aerial photographic view of the lake bottom. The discovery of the steamship Homer Warren was made early this past summer. The shipwreck was found in deep water, well beyond the limits (135 feet) for recreational SCUBA divers. 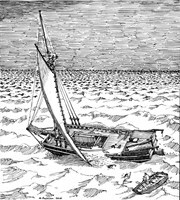 The sonar record clearly showed an image of a ship the shape and size of the Homer Warren. Next to one side of the ship there appeared to be several large pieces of debris. Dan Scoville made a dive to the shipwreck to confirm that this was the Homer Warren. 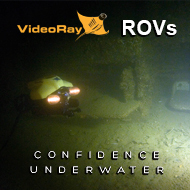 Several additional dives were made to video document the condition of the vessel in its final resting place on the lake bottom. The ship was found to be in an upright position. Both of the cabins and deck were missing which provided access to the cargo and engine areas. Large boilers, pipes, and debris lay within 25 feet of the starboard side of the ship, as was viewed on the sonar image. The steeple compound engine was partially visible through twisted pipes and wreckage of the stern section. Buried beneath the wreck, the ship's propeller could not be seen. Both sides of the ship are covered with zebra mussels giving it the appearance of a coral reef. At the bow, the stem post rises up from the bottom for almost 30 feet, like an accusing finger pointing up toward the surface of Lake Ontario. A few feet back from the bow, the starboard side of the ship has been pushed out and a large portion is missing. This was probably what caused the steamer to sink rapidly during the storm. The loss of the deck and cabins provided easy access to inspect the cargo in the ship’s hold. Within the confined area of the ship a mysterious white substance can be observed lying on the surface of what remains of the cargo. All news reports of the sinking indicated that the Homer Warren was carrying a load of 500 tons of coal. Probing deeper through the white substance and silt produced the actual cargo that the ship was carrying - corn. In fact, this cargo may have contributed to the cause of the disaster. When dried corn is exposed to heavy moisture it can expand up to 100% of its original size. If the Homer Warren's hatches were unsecured, allowing water to enter the cargo hold, the corn would have absorbed water and swelled. The expanding corn would have put pressure on the sides of the old steamship, weakening it to the point where it finally opened up allowing the lake water to rush in, taking the ship to the bottom. The corn in the hold, covered by an accumulation of 84 years of silt and in water where the temperature never goes above 40 degrees F, is still very well preserved today. There have been only a few notable shipwreck discoveries off the southern shore of Lake Ontario. Lake depths often exceed several hundred feet only a few miles from the southern shoreline. Shipwrecks located in these depths are beyond the range of recreational divers and require costly search and support ship equipment. 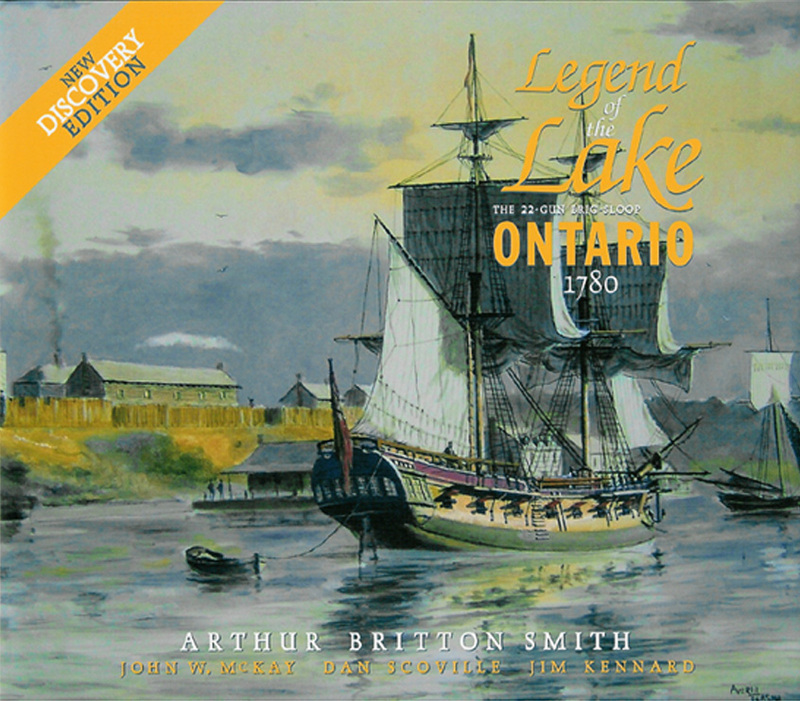 It is believed that the Homer Warren is the first steamship to have been found off the southern shore of Lake Ontario that has not been salvaged or wrecked near shore. She is among one of the oldest steamships still in existence in the Great Lakes. Jim Kennard has found over 200 shipwrecks in the Great Lakes and Inland Waterways over the past 30 years. Using his background as an electrical engineer, he built the side scan sonar system that located this and many other ships. In 1983, Kennard, with partner Scott Hill, discovered a unique horse powered ferryboat in Lake Champlain. National Geographic featured the ferryboat in their October 1989 issue. Dan Scoville is an experienced cave and “technical” diver. He utilizes custom gas mixtures of oxygen, helium, and nitrogen to dive to depths of over 350 feet. Scoville is the owner of StealthDive, a Rochester New York based company, specializing in the manufacture of underwater lighting and SCUBA diving accessories. I am a 16 year old who lives in the Williamson/Pultneyville area and I have only just heard about this. I have followed the discoveries of deep sea explorers such as Robert Ballard for years but this is by far the most strange I have seen. I was only a little boy at the time so I am not suprised that I never heard about this wreck in my own backyard. It is a very unique story that I'm sure will not be forgotten.